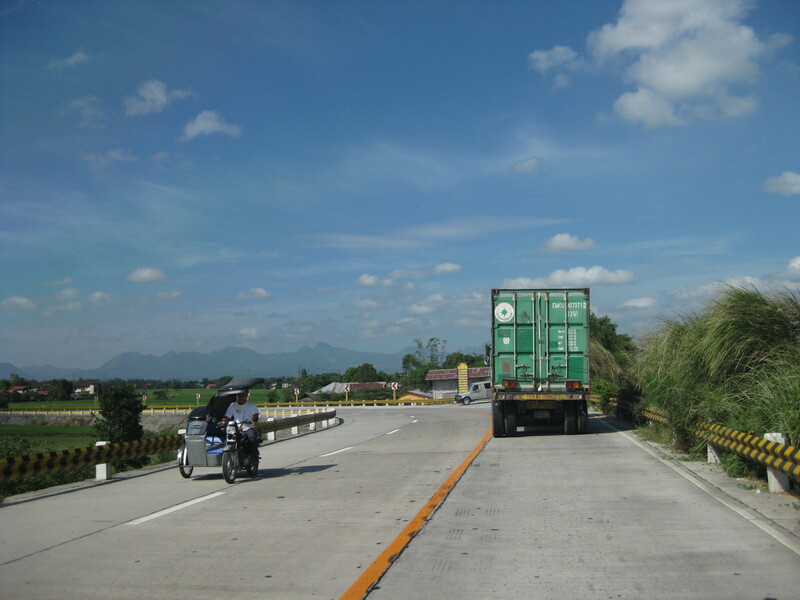 The Gapan-San Fernando-Olongapo Road was often congested along sections passing through populated areas of towns along the highway. 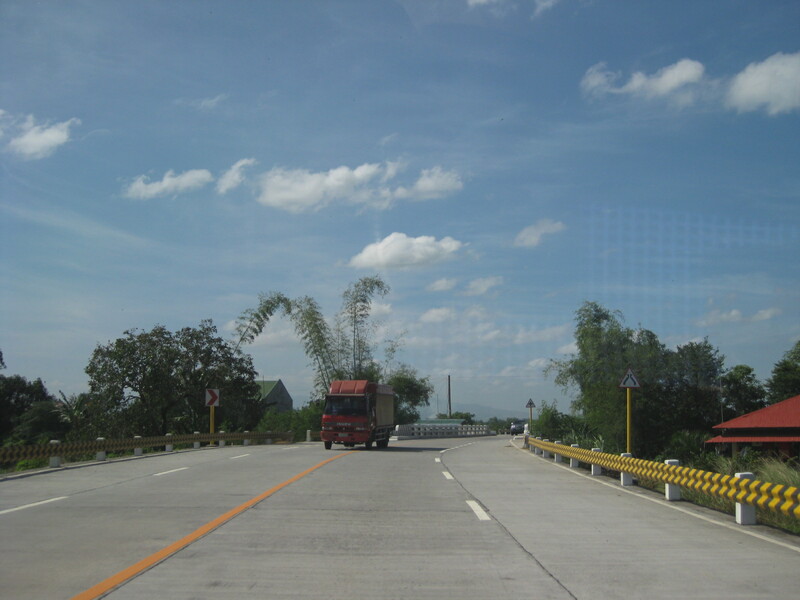 Among the busiest (and most congested) was the section in Lubao. 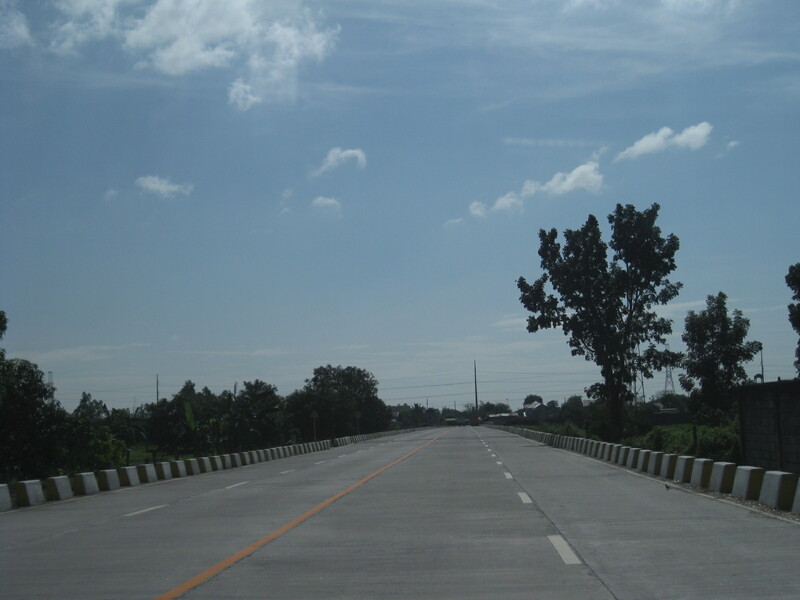 This necessitated the eventual construction of a bypass road for travelers to be able to reduce delays caused by various elements including local traffic (e.g., tricycles and pedicabs). 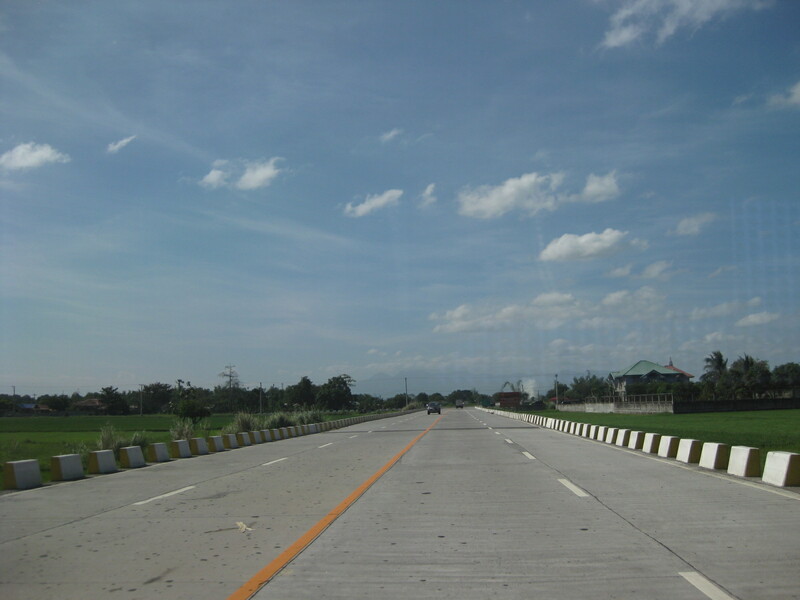 The following photos describe the bypass road and the traffic using it. 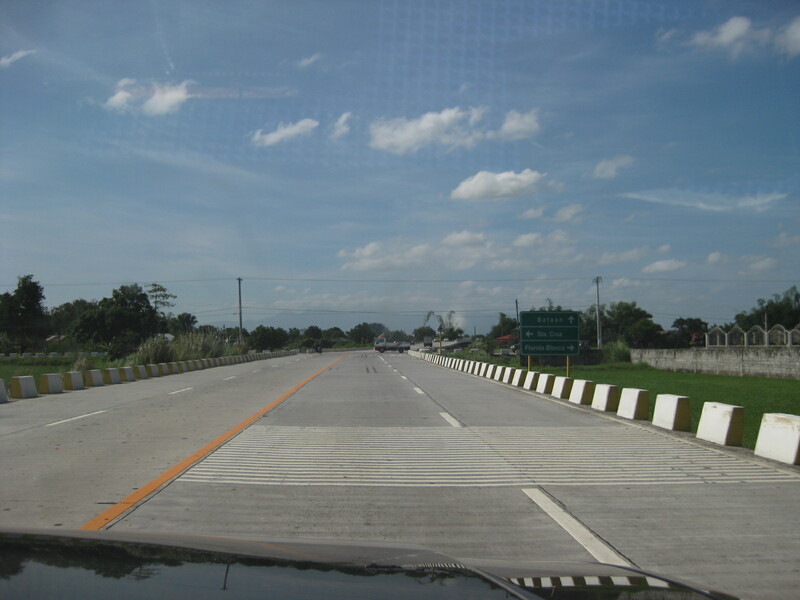 The bypass road is easily identified with the conspicuous signage and lane markings. The junction is right after this bridge. The pavement markings along the bypass road is inadequate and appears to be inappropriate given the carriageway width. There are also many people crossing the highway at various points. 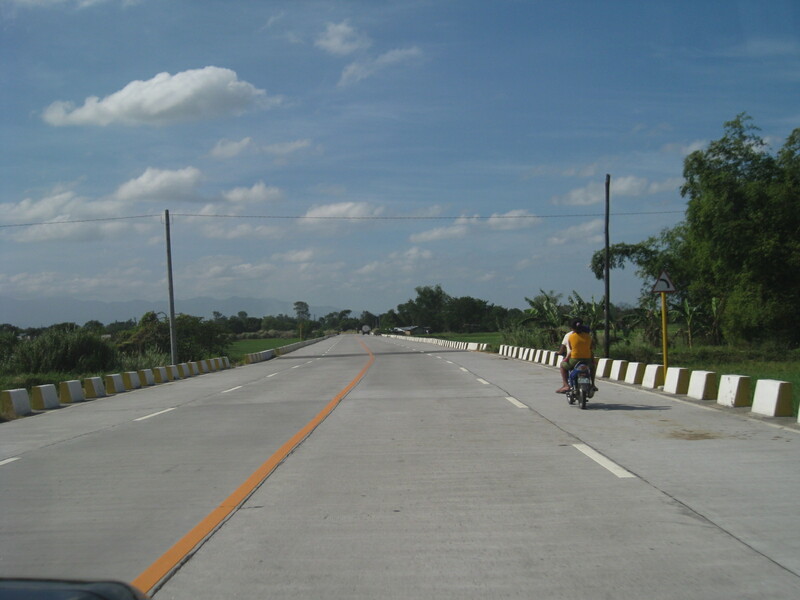 The bypass road should have been a two-lane, two-way highway with shoulders at either side of the road. 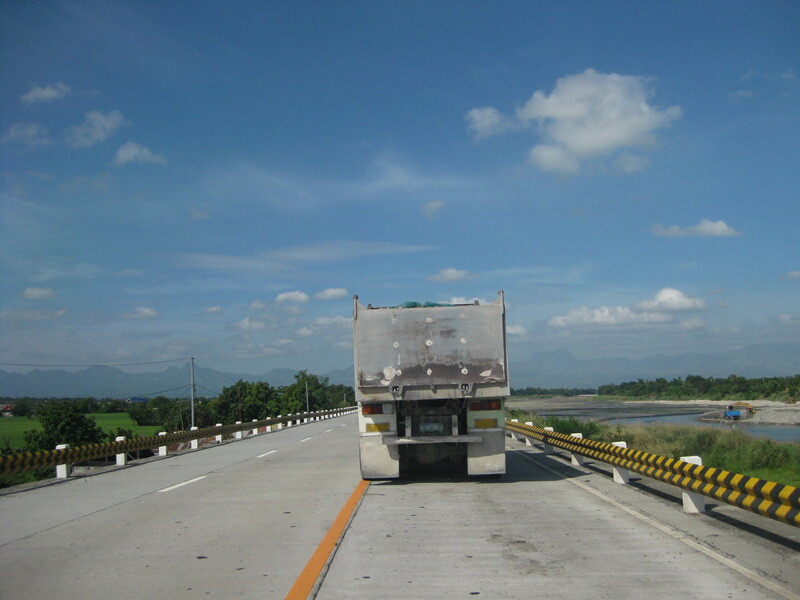 The yellow line in the middle of the road may be appropriate to advise against overtaking or passing but the white broken lines should be replaced by solid lines to delineate the shoulders from the traveled way. 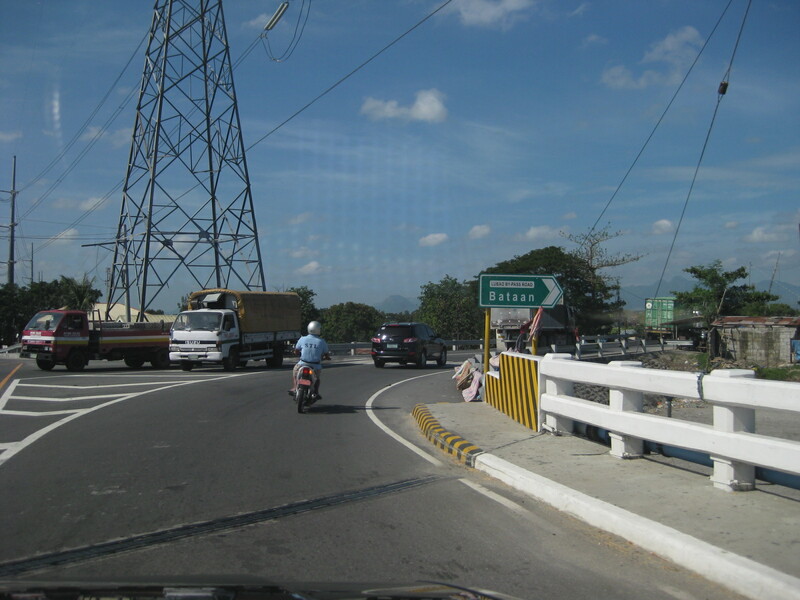 Yup, that’s a tricycle along a national road. 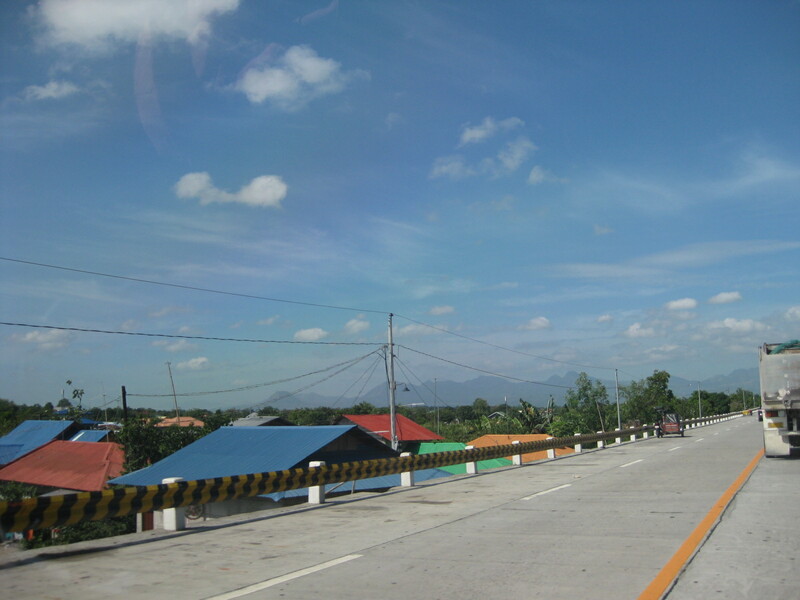 The highway is elevated probably to prevent flooding (of which the area has lots of experience including the times when lahar was a severe problem in the area). As such, travelers can see the rooftops of a lot of most houses along the highway. 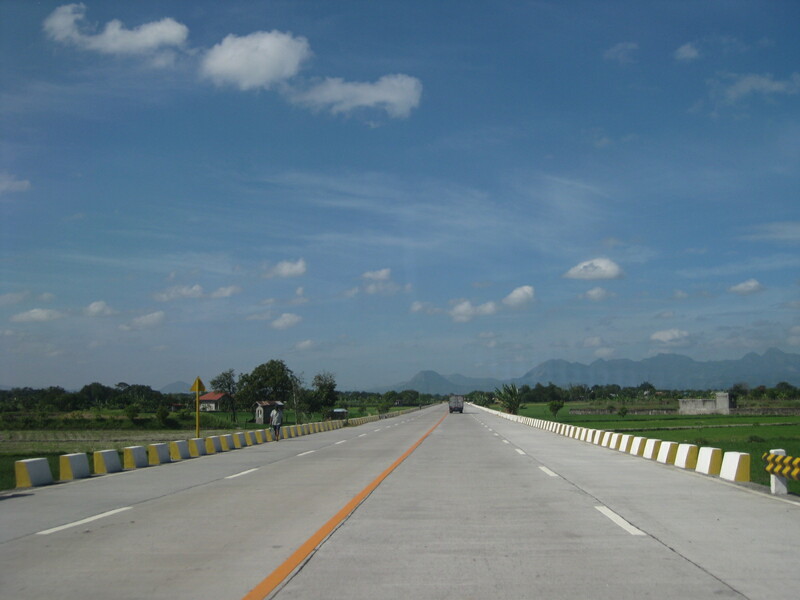 The bypass road narrows to 3 lanes at certain sections. 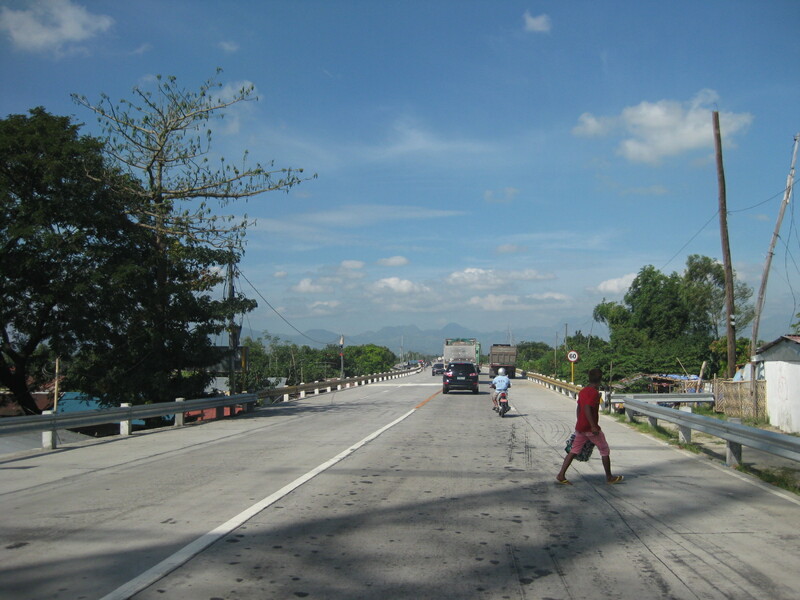 Scene along the highway sections along which is a river. 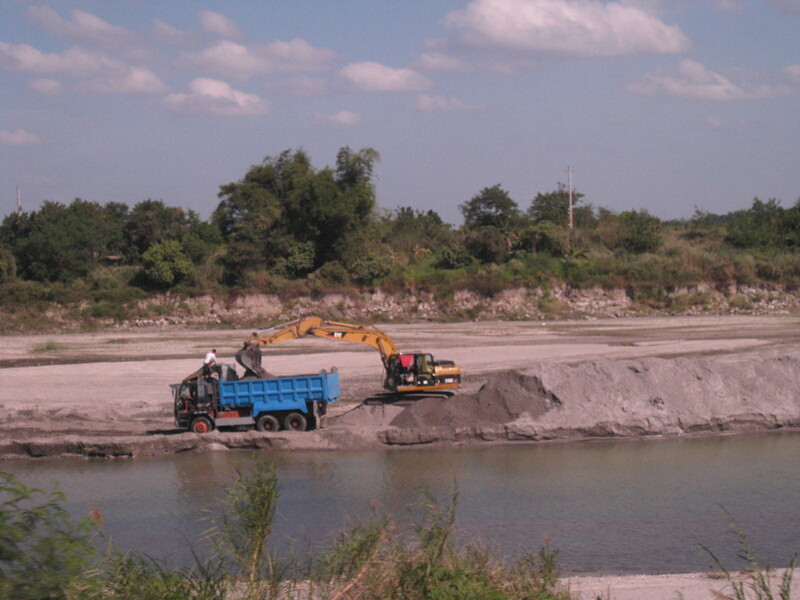 Quarrying for construction materials like sand is quite common and a major source of revenue for many Pampanga towns. Such activities have also been controversial due to the fees charged by the local governments, particularly how these are divided among towns and where these are used. The space provided along the single lane direction is obviously inadequate considering that trucks tend to encroach upon the opposing traffic lane. 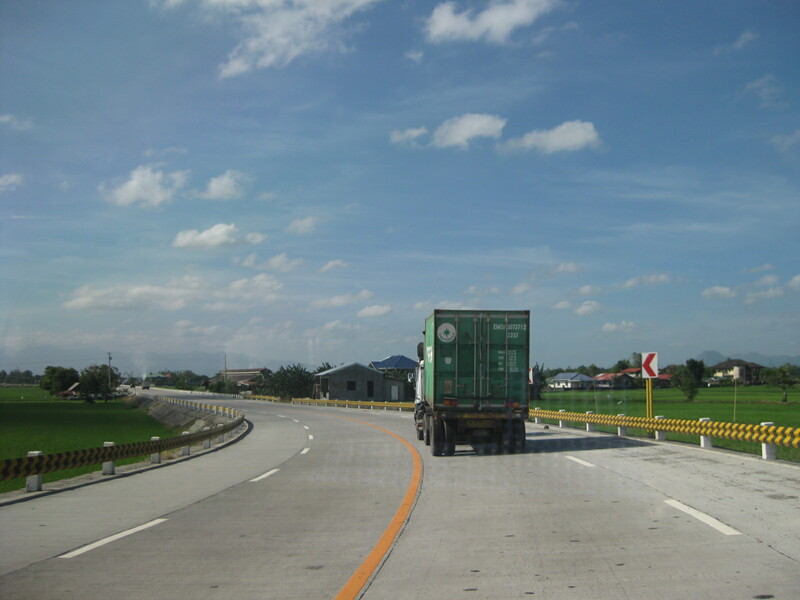 The 3-lane section approaching a junction. There were no signs or rumble strips to warn drivers about the presence of a junction. 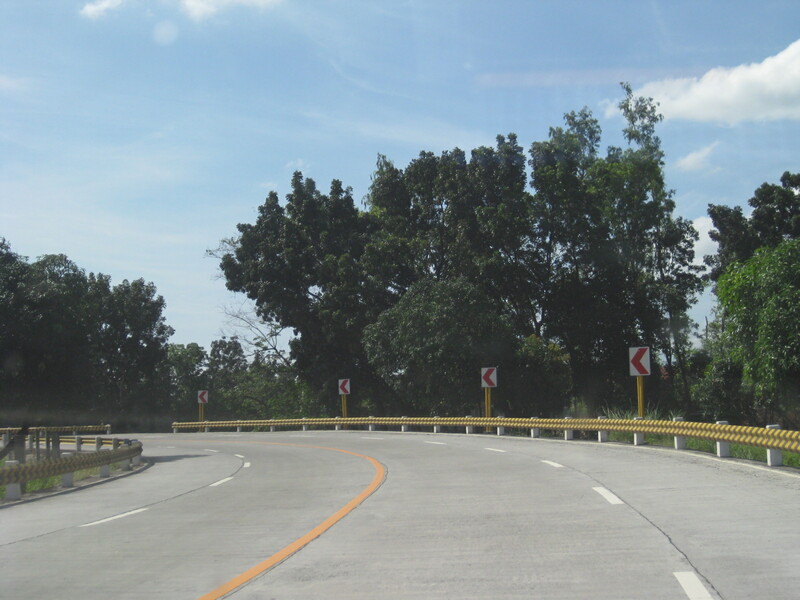 There are no signs to inform motorists of the presence of this junction at a curved section where the 3-lane road transitions into 4 lanes. This is actually an unsafe location for a junction and requires both geometric and traffic engineering interventions to prevent crashes from occurring. 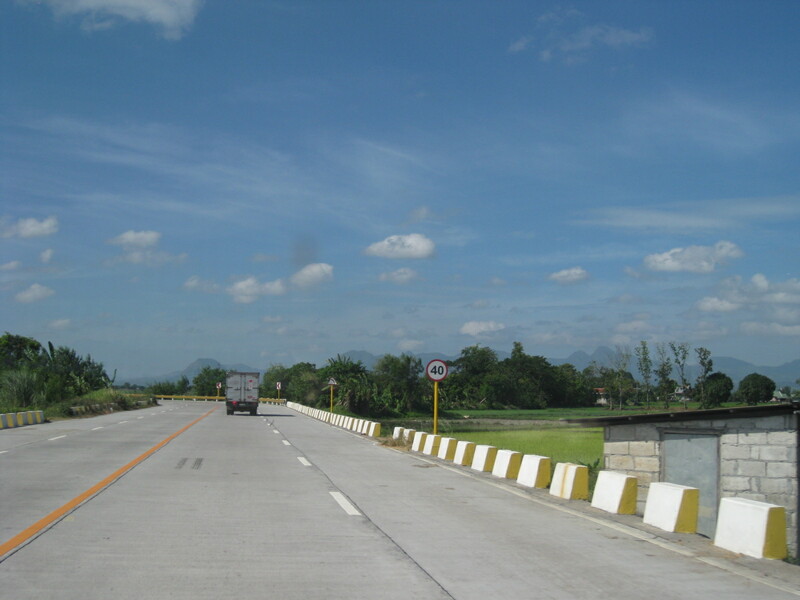 The chevron signs indicating the curvature of the road section are quite few. Perhaps the highway engineers became too conscious of the controversies elsewhere where there seems to be an abundance and propensity for such signs. The embankment for the highway is visible from the photo. Lower section of the bypass road with concrete barriers apparently designed for waters to flow through. 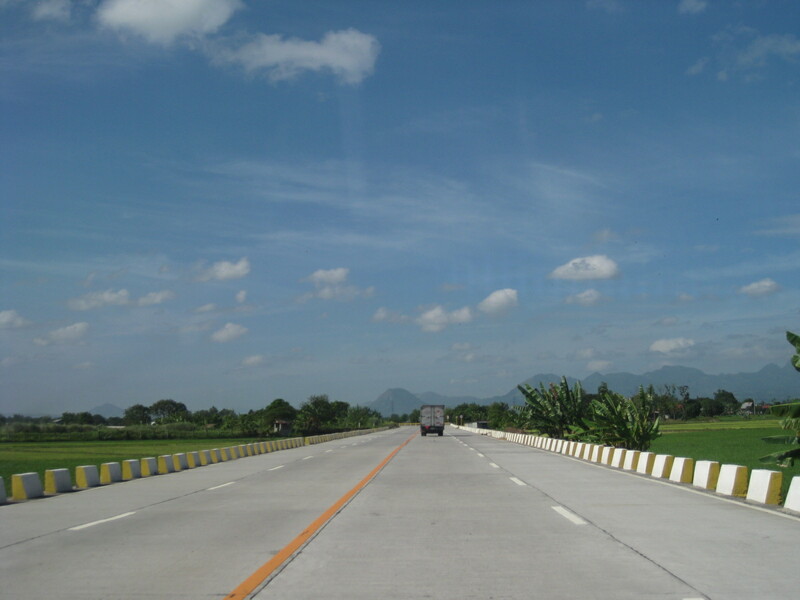 Notice that the section is not as elevated as the previous ones judging from the rice plantations on either side of the road. 13Curved section with signs that seem to be too small considering the speed limits (40 kph). Meanwhile, there is a single chevron sign on the other side of the road. Straight, level section is quite tempting for speeding. Such designs actually encourage speeding, and many vehicles we observed (including ours) exceeded the 40 kph speed limit. 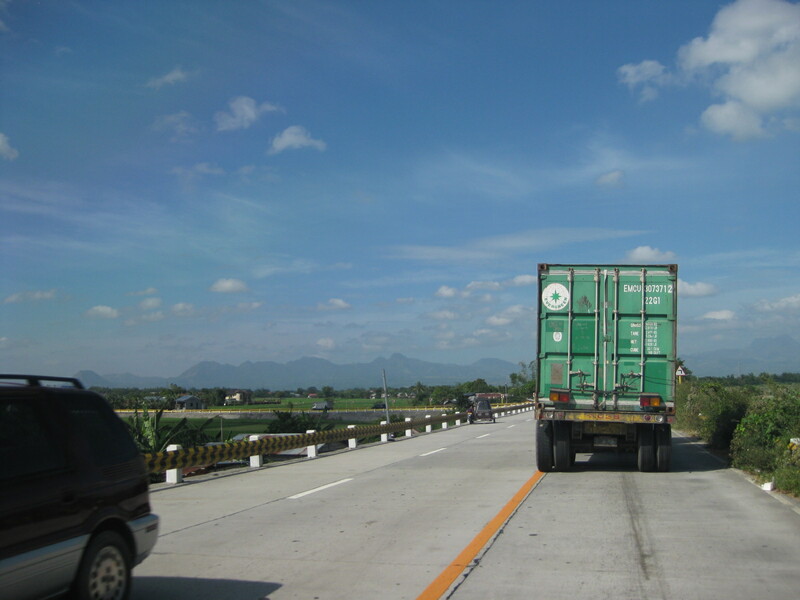 Traffic along the highway is quite light even during the peak periods – further proof that 2 lanes are enough for the bypass. The concrete barriers do not seem sufficient or able to stop large trucks should these be involved in crashes where vehicles are run off the road. Aside from tricycles, there is a significant motorcycle traffic along the bypass road. 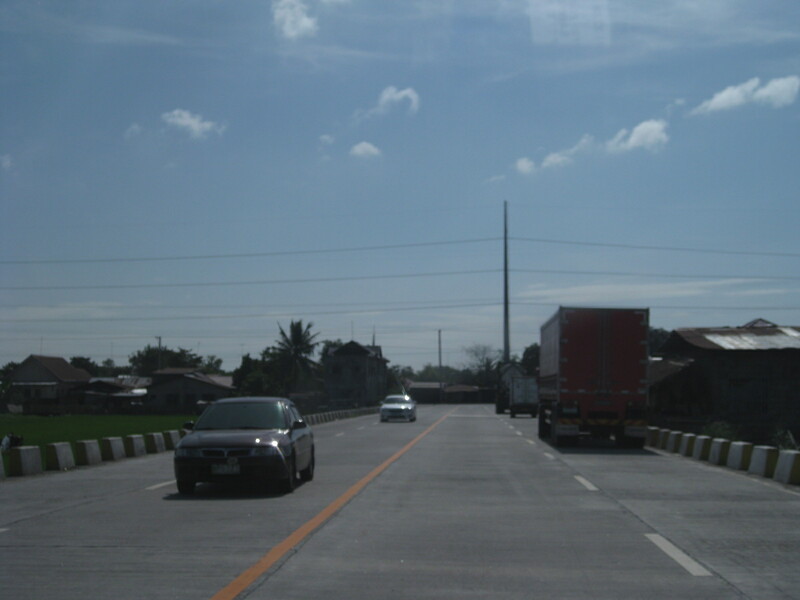 I think sharp curves like this section requires more chevron than what was installed along the highway. 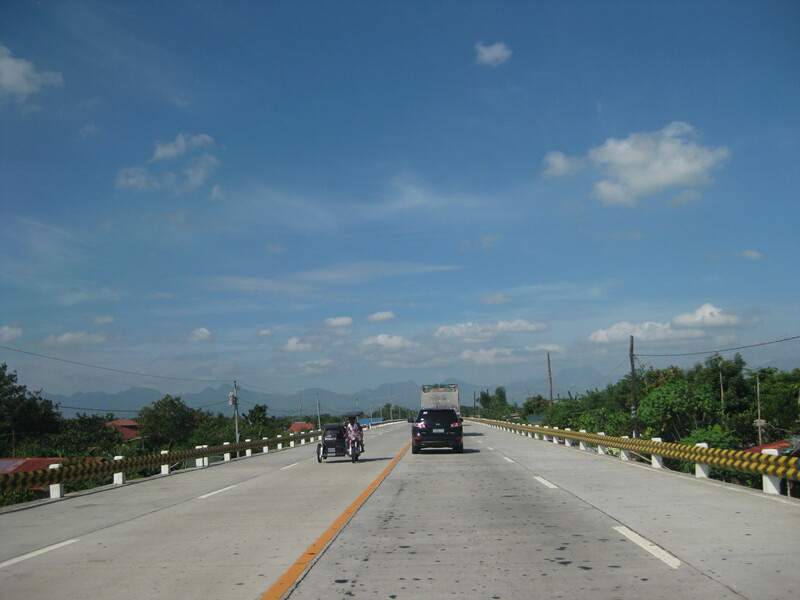 Straight, level section approaching the west junction with the Gapan-San Fernando-Olongapo highway. The tall electric pole marks the junction. Closer to the junction, the electric pole looms and become more conspicuous to travelers. Power line pole in the middle of an island that’s part of the channelization for the bypass road’s intersection with the GSO Highway. 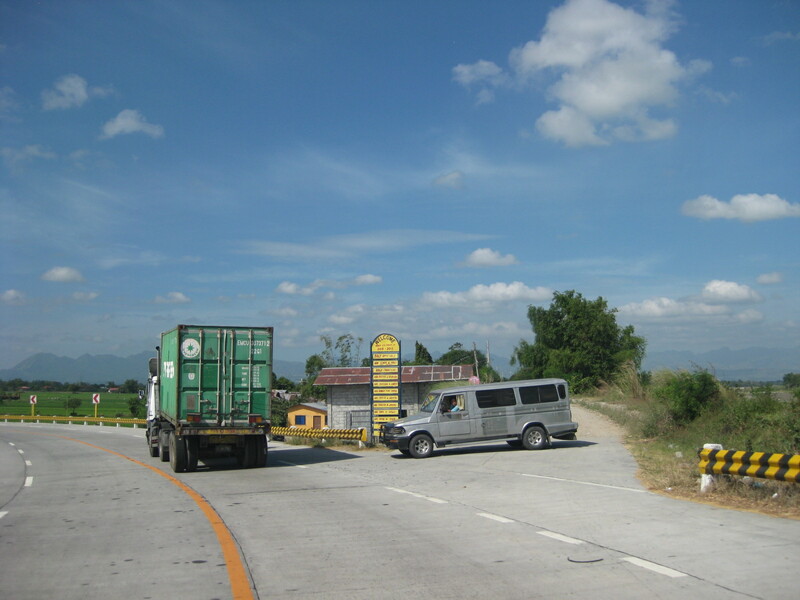 It is clear that the Lubao bypass road has benefited many motorists often hindered by congestion along the GSO road. However, given the opportunity to design a safe highway, it seems that many elements were not satisfied in terms of safety. As such, the bypass road presents us with a high potential for road crashes at present and when traffic eventually increases over time. There are, of course, options that can be implemented to improve the situation along the bypass road and its junctions with the GSO Highway. 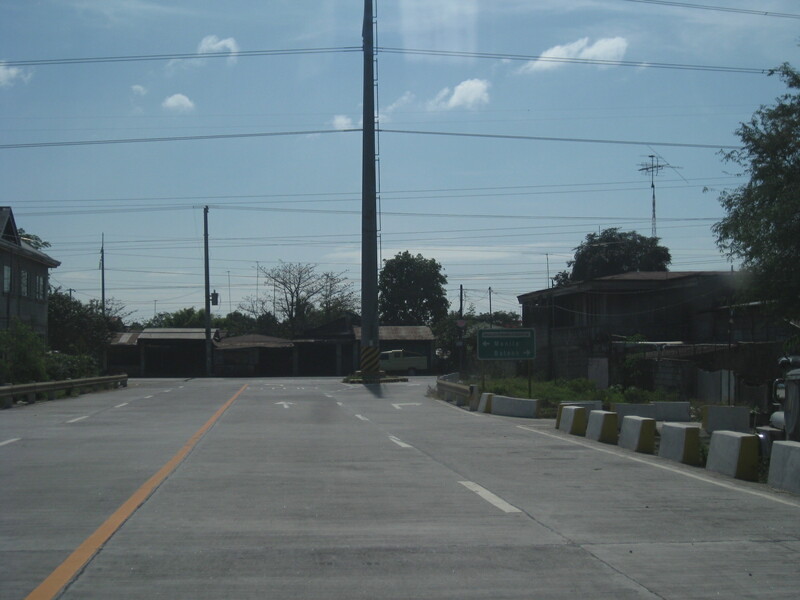 By d0ctrine in Highways and Streets, Infrastructure on February 13, 2012 .